Herbal treatments for healthy living! Function: American ginseng stimulates the immune system and alleviates stress. It is used in treatment of cardiovascular disease, diabetes, and many other ailments. Function: Angelica root is widely used in Chinese medicine, primarily used in a number of feminine condition treatments and to balance hormones. Function: Chinese angelica is beneficial to the skin and is used in the treatment of burns, rashes, and various skin afflictions. 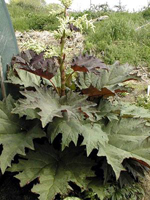 Function: Chinese rhubarb, first discovered in Tibet, has been in use in China for many centuries in the treatment of a variety of digestive issues. It is an effective treatment for constipation, bacterial disorders, and bloating. It facilitates proper bowel movement and aids in body detoxification, both of which are essential to healthy, sustainable weight loss. 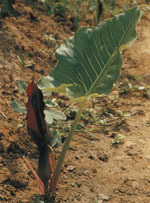 Function: Costus root is primarily effective against ailments of the stomach and spleen. It aids digestion and facilitates proper intestinal function. It hepls the body to eliminate impacted waste, which aids in weight loss and overall health. 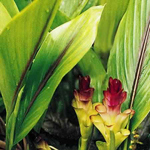 Function: Curcuma root promotes healthy blood circulation and detoxification of the liver. It is used in the treatment of pain, swelling, or growth in the abdominal area. It is often used to complement weight loss regimens. Function: Dwarf Lilyturf root is is used in traditional Chinese medicine to help the stomach function better, to alleviate irritability, and to promote production of body fluids. Function: Excrementum passeris is part of a centuries-old formula for whitening skin. 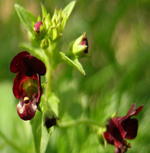 Function: Figwort cools the body, cleans the blood, and aids with digestion, all of which contribute to healthier skin and improved moods. Function: Hawthorn berries are effective in the prevention and treatment of a number of cardiovascular ailments such as arrhythmia and angina. They help to strengthen and rejuvenate the walls of the arteries, contributing to the prevention of hardening of the arteries and blood clots, as well as the reduction of cholesterol and lowering of blood pressure. Hawthorn berries also aid in digestion and keep the walls of the intestines functioning smoothly. Function: Herbaceous peony root is useful in the treatment of a number of skin conditions, including acne, eczema, and lesions. Function: Lotus is known by many names in Chinese, and it serves many purposes in herbal medicine, among which are beautification, mood enhancement, and stress relief. 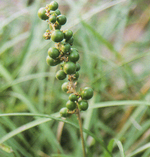 Function: Used in herbal medicine formulas, pearl calms the heart, clears the liver, and promotes tissue regeneration. Function: Peppermint is a good herb for dispelling heat, treating fever and cough. It clears the eyes and nose and is good for treatment of gynecological conditions. Function: Phellodendron is a good compllement to many traditional Chinese medicine formulas, owing to its contribution to overall contribution to digestive health and mental health. 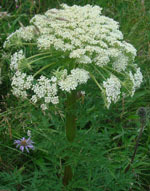 For many years, it has been used to treat anxiety, but it is also used for the treatment of diarrhea and dysentery. 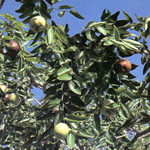 More recently, it has gained attentioned because of its weight loss efficacy. Function: Rehmannia is used commonly in treatment of hot flashes and other feminine conditions. It nourishes the Yin and promotes production of body fluids. Function: Rhizoma Typhonii has many functions in traditional medicine, and is used mainly in the treatment of apoplexy,facial paralysis,stammer,headache,sore throat, tetanus and poisonous snake bites. Function: Spine date seed has been used as a sleep aid for many years in traditional Chinese medicine. 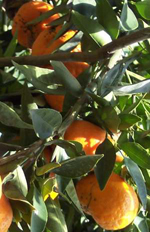 Function: Modern studies have proven what traditional chinese medicine practicioners have know for centuries, that tangerine zest is essential to detoxification of the body. It is beneficial to the liver and spleen in helping to clean the body of toxins. It breaks up respiratory congestion, and promotes healthy movement of the intestines essential to healthy digestion, clear skin, and purging of fat from the body. Recently, it has been proven to be beneficial for type two diabetes patients as well. Function: White poria is known and used traditionally for its effects of Inducing diuresis, excreting dampness, invigorating the spleen, replenishing the middle-jiao, and tranquilizing the mind.